Enjoy super bouncy sliding fun with the Big Wave Water Bounce House Combo. Enjoy some water fun on a hot day. Ideal for all ages from little ones to adults. Enter the safe bouncy house and jump, bounce. Then climb the rock wall up to the giant wave slide. 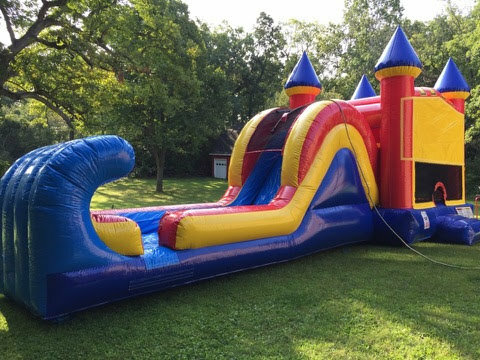 This super fun bounce house is perfect for birthday parties or any other occassion and is tons of fun for all ages. Can hold up to 1000 LBS. Safe slide exit.